Do some of the work yourself, get great deals on materials, and find other cost-cutting measures, and your ROI will be even greater. Also, if you’re turning a tiny shower into a large, luxurious one, adding a soaker tub to a bathroom that was missing a tub altogether, or turning a one-vanity space into a two-fer, you could be creating a space that will help attract buyers instead of turning them off. A bad master bath can make your home sale a bust. Speaking of DIY, how handy are you? If your answer is, “not very,” you can still have a hand in doing some of your own updates, which will give you an added dose of pride and save you some cash. While plumbing and electrical are probably not going to be on your agenda if you’re not skilled in those areas, perhaps you can lay some new tile or at least do some demolition of the old, ugly stuff you’ve been wanting to get rid of forever. Like we said…getting in there and updating your bathroom means you get first crack at the gorgeous new walk-in shower instead of turning the house over to somebody else as soon as the updates are done. It’s just not fair that you finally have the bathroom of your dreams, and you won’t get a chance to use it. We’re not saying you shouldn’t redo your kitchen. Especially if you’re going to sell your home sometime soon, you’re going to want to look into that. But your home (presumably) only has one kitchen, which can make renovations a huge hassle if you’re planning to live there while they’re being made. 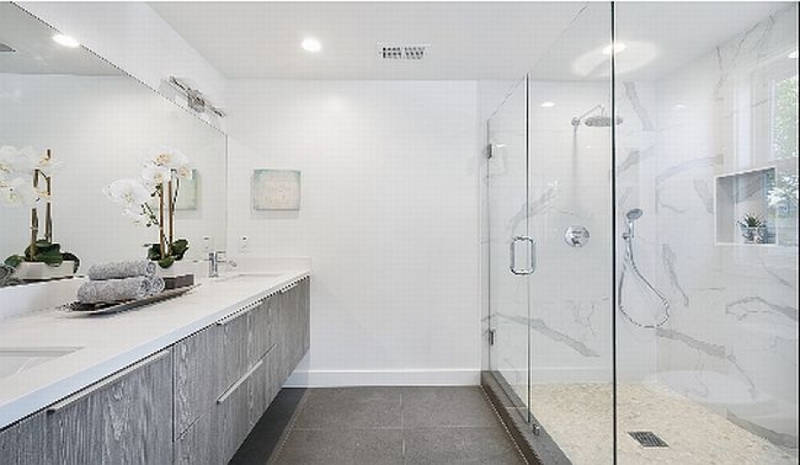 If you have more than one bathroom, you’ll still have a place to shower, shave, and shampoo, even if your master bath is a construction zone for a while. The dust is also typically less intrusive with a master bath reno because it’s not an open space like the kitchen, which makes it easier to stay put while the work is being done.